Archaeologists excavating an ancient garbage pit in Jerusalem have found the earliest evidence of the arrival of eggplant in Israel. The 1,000-year-old dump, the eggplant seeds and much more were found in excavations of the stepped street in the City of David (also known as Pilgrimage Road), which extends south of Temple Mount, the Israel Antiquities Authority announced on Thursday. The pit itself was dug in a tunnel that passes beneath the Jerusalem neighborhood of Silwan. While the street dates to the Second Temple period (about 530 B.C.E. to 70 C.E. 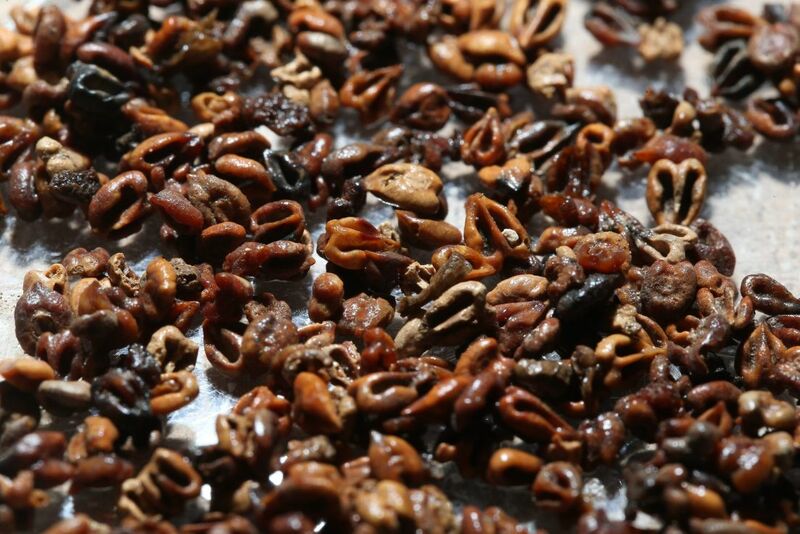 ), the refuse and seeds were dated to the early Islamic period (750 to 940 C.E.). Among the vessels found in the ancient trash was a lamp bearing the inscription “baracha” (blessing) in Arabic. Rather than decaying, the seeds were preserved due to a mineralization effect, a sort of fossilization where organic matter is replaced by inorganic matter, explains Oriya Amichay, who is excavating the site with Nahshon Szanton, excavation director for the IAA. Where would the eggplant have come from a thousand years ago? Technically a fruit, it belongs to the Solanum genus, which includes about 1,500 species, including pretty purple flowers, potatoes, tomatoes and eggplants. But although tomatoes and peppers spread worldwide from South America, the eggplant originated in the Indian subcontinent and Sri Lanka. The archaeologists suspect it may have arrived with the Persians, who conquered Jerusalem in the year 614. 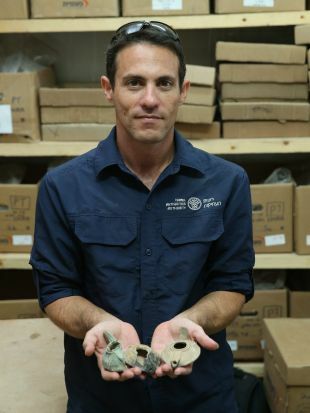 Aside from the eggplant, the archaeologists also found thousands of seeds identifiable as grape, olive, Christ’s thorn jujube pits, black mulberries, lentils, figs and more, the IAA said. The copious amount of grape seeds indicates that there had been a grape-syrup production industry. The pit also produced bones from cattle, fish and birds, and evidence of edible wild grasses. The analysis of ancient seeds has shed much light on the origins of farming and diet in the earliest settlements. While ancient Israel wasn’t the home of the eggplant, Neolithic Galileans were growing fava beans more than 10,000 years ago and eating them as a staple, archaeologists announced in 2015. The discovery of large stone mortars from around 12,500 years ago at Huzuq Musa was interpreted as evidence that they were growing barley and making flour out of it. A different study, drawing the barley family tree based on genetic analysis, concluded that its domestication began in the area of northern Israel. 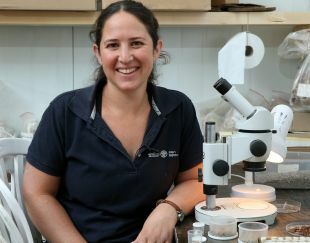 That theory was supported by the unexpected discovery, announced in early 2016, of a village by the Sea of Galilee, dating to 12,000 years ago, which was much larger than had been expected to be sustainable at the time. And finally, analyses of flint sickles and the remains of brush huts dating to some 23,000 years ago indicated that the prehistoric Galileans were already cultivating some grains, including wheat and barley. Eggplants were very late to the party.